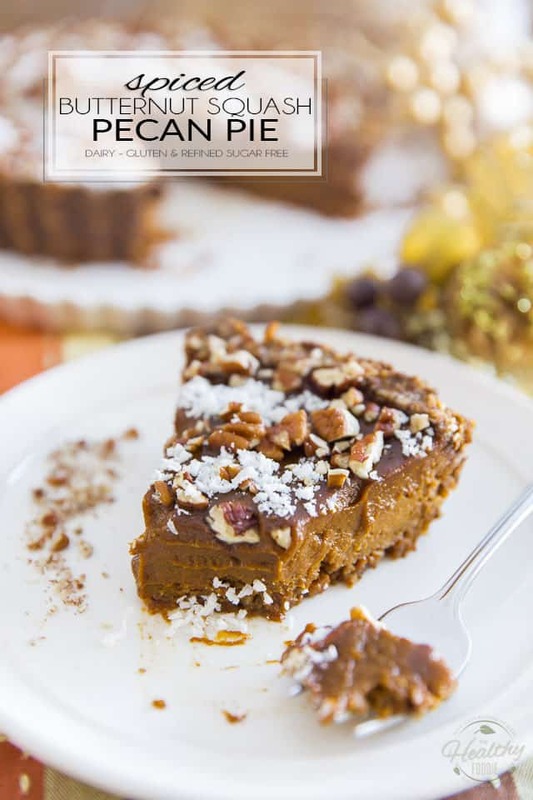 Free of dairy, gluten and refined sugar, this Spiced Butternut Squash Pecan Pie is a nice change from your classic pumpkin pie, and perhaps even better! What’s best is you can easily make it with your own homemade butternut squash puree and ditch the canned pumpkin stuff! If you’re a fan of pumpkin pie, then you will totally fall for butternut squash pie. Honestly, the two are very similar in taste and texture, but one clear advantage that the latter has over the former is that you can make your own butternut squash puree at home, from scratch, using fresh gourds that you ideally purchased from a local farmer, market, or even better yet, grown yourself in your own garden. And this means — among many other environmental benefits — you’ll be leaving an aluminium can on the shelves. I’m all for using less cans!! Technically, pumpkin pie is made with a traditional pie crust, but I prefer to make mine with a crumb crust. Firstly, because I have no patience for making pie dough; I find that crumb crusts are so much easier to deal with. Not only that, but they also add tons of flavor AND nutritional value to your pie. The only downside to these kinds of crusts is that they tend to be extremely fragile, especially when the filling happens to be crazy moist and super silky. So they don’t support your slices very well, making it hard to extract picture perfect slices from your pie. Of course, if you preferred to go the traditional route you could very well use my paleo pie dough recipe instead of the crumb crust that I am suggesting in this post. But seriously, while this crust doesn’t entirely make the pie, it complements it so well, I totally recommend that you stick with it and be super delicate when handling and serving your pie. Just use a good pie server and you should be fine! Personally, I think that the addition of chopped pecans to that crust as well as to the top of the pie, as a garnish, really helps in toning down the level of sweetness and intense spiciness of this traditional dessert. And the shredded coconut simply takes it to another level! Try it once, then you can decide for yourself which option you like best! The post Spiced Butternut Squash Pecan Pie appeared first on The Healthy Foodie. Raw, vegan, free of gluten and of added sugar, these Festive Bliss Balls are the perfect little pick-me up snack or sweet yet healthy capper at the end of a good meal. Whether you are looking for a quick little snack or cute petite sweet bites to put on the table following a good family meal – or even a Christmas feast, maybe – these adorable festive bliss balls are totally guaranteed to be a hit. It’s not because they happen to be raw, vegan and paleo friendly, completely free of gluten, dairy or refined sugar and filled with nothing but superfoods and wholesome ingredients that they are not absolutely delicious and insanely addictive! Honestly, they’re almost better than chocolate! Except they’re good for you. Completely, totally, utterly good for you! 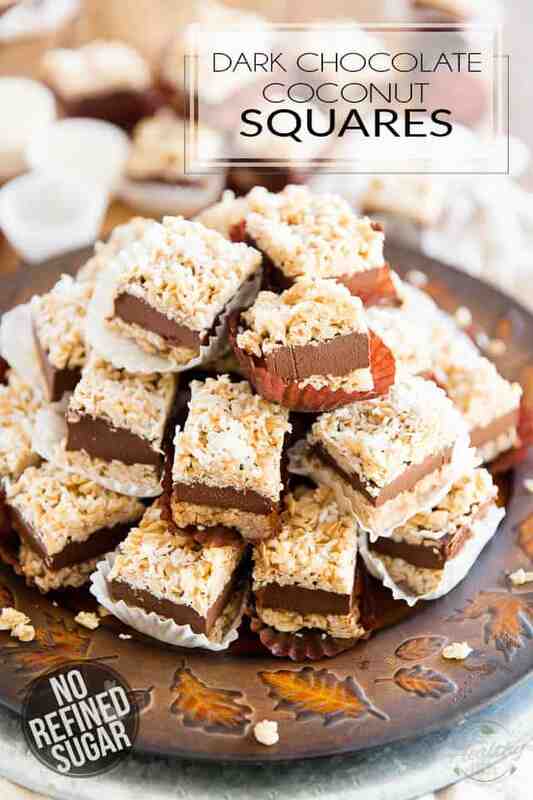 And they’re super easy to make, too. 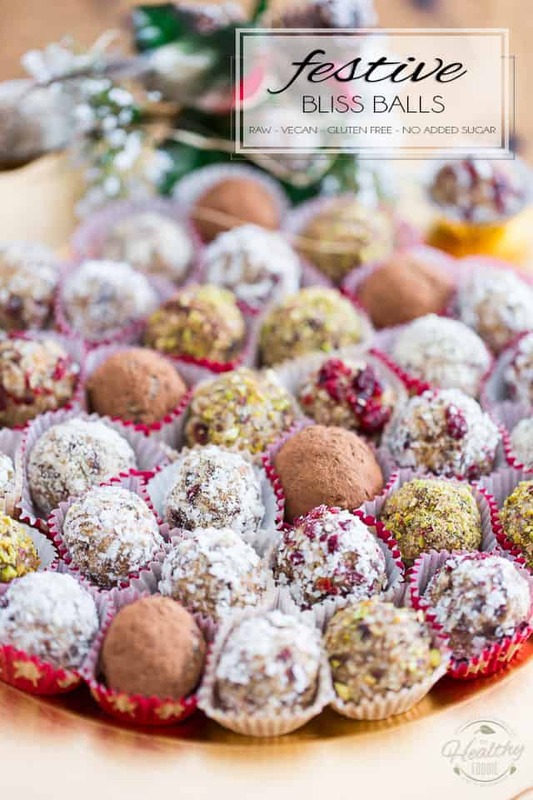 The post Festive Bliss Balls appeared first on The Healthy Foodie.